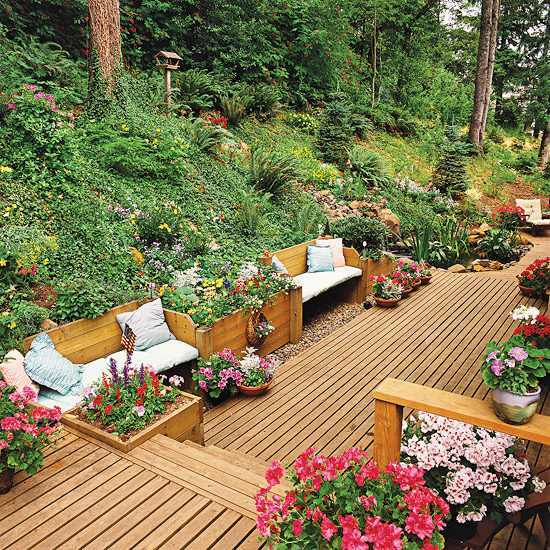 Garden benches are an important element of the landscape design. 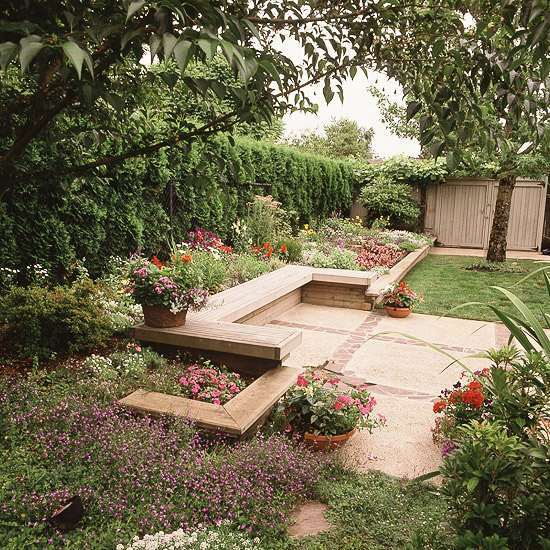 Properly designed and installed benches for the garden create a comfortable environment for relaxing outdoors. 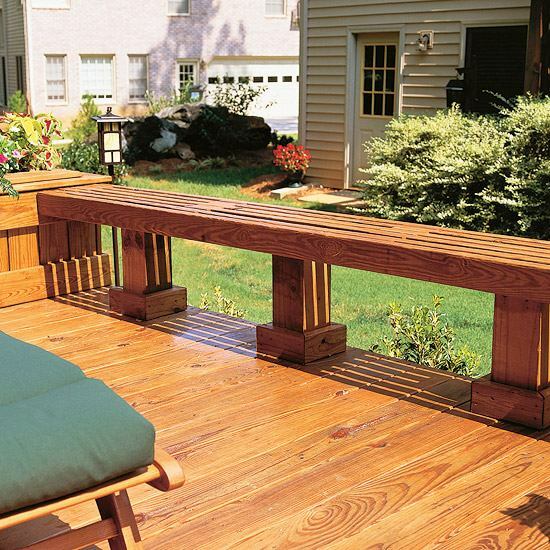 Most popular and traditional material for benches is wood. 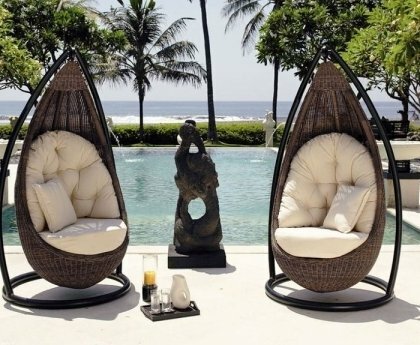 As a decorative element, the bench can decorate the garden or be a focal point. At the same time they benches provide the opportunity to admire the view of the surroundings. 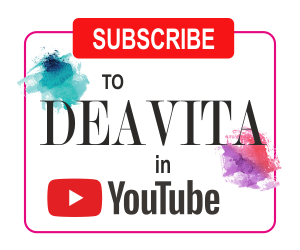 Wooden benches have various constructions and their appearance depends on where you will place it – near a pond, home, garden or a recreation area. 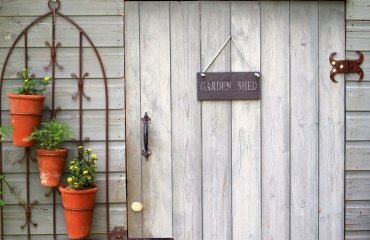 The main criteria for a garden bench are the beauty and convenience. If you are already tired of buying expensive garden furniture year after year, you should look at these ideas for integrated wooden bench in the garden. 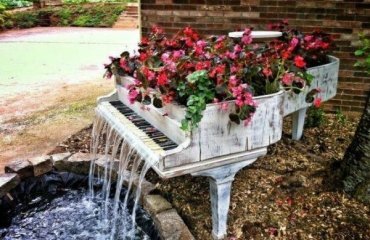 These creative garden benches would help you to define the boundaries outdoors and to create a comfortable seating area. 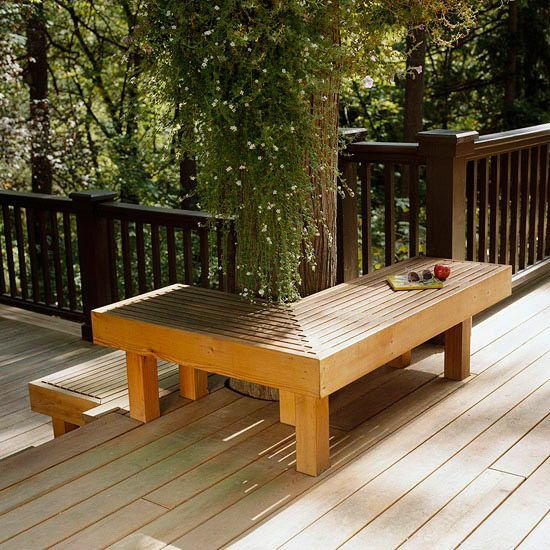 A garden bench like this offers enough space and is a smart solution to use the tree for its pleasant shade. 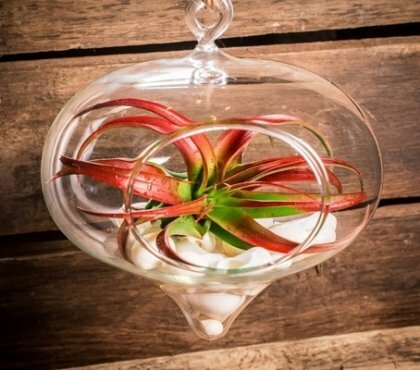 It has a simple structure and a simple beauty. 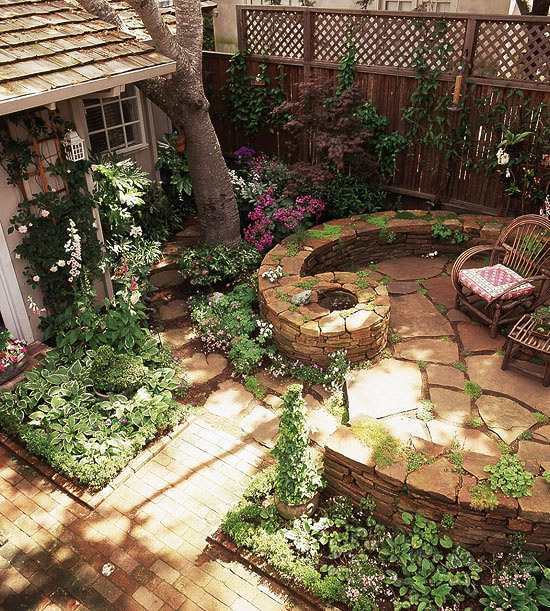 A circular garden bench with backrest hugs the patio area and creates a pleasant addition to the curved courtyard. 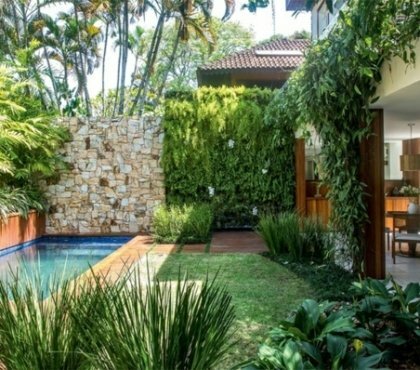 Two built-in wooden benches provide the perfect place where you can enjoy the lush blooms in the garden, that crown the courtyard. 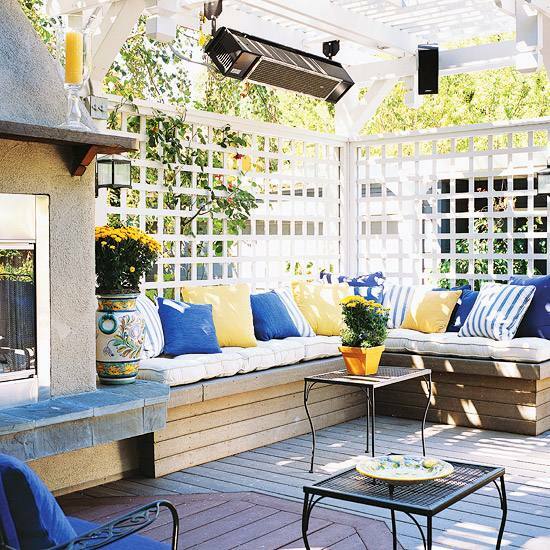 The seating area provides a welcoming shade during hot summer days. 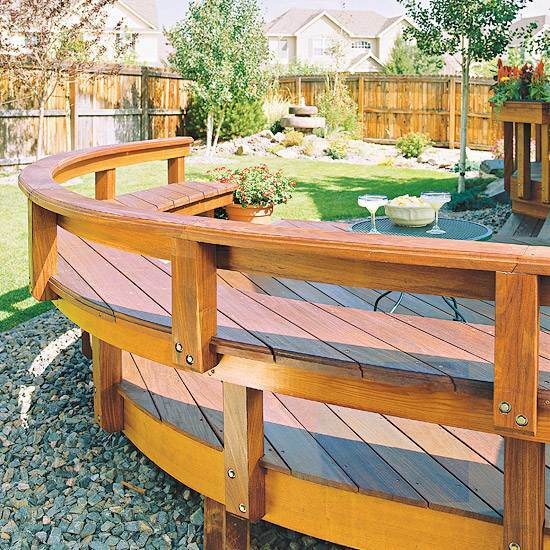 The need for privacy is the inspiration for this unique platform with an integrated curved wooden bench in the garden. 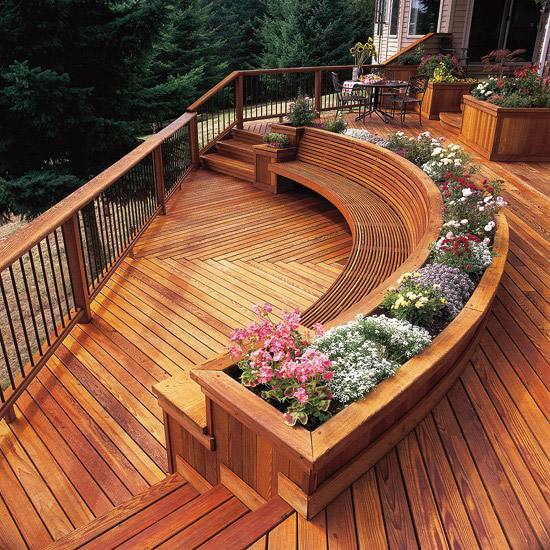 The built-in wooden bench follows the curve of the wooden deck and provides a nice place for relaxation. 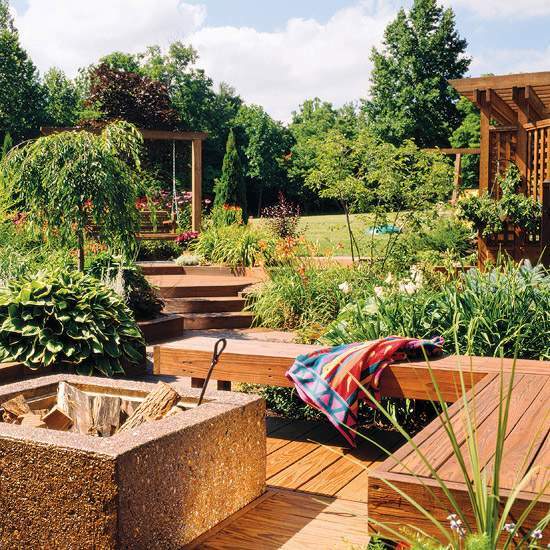 Constructed from old cedar wood, this integrated garden bench offers a comfortable, customized element using your wooden fence as a privacy screen. 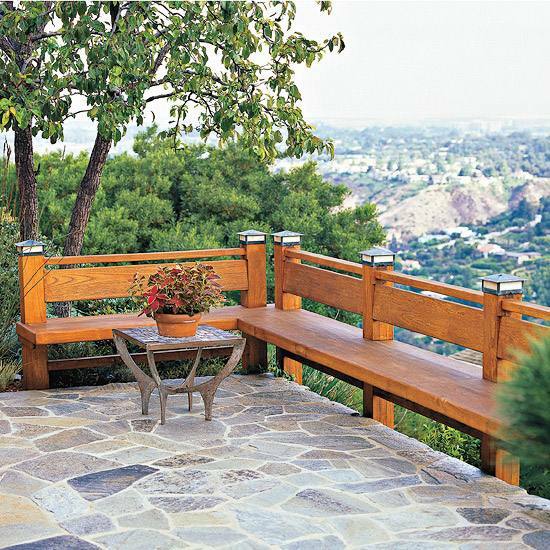 This terrace rests on a concrete foundation paved with stone slabs and provides a platform for spectacular views. The benches made of mahogany wood provide a comfortable sitting area for entertainment and serve as railings for the balcony. 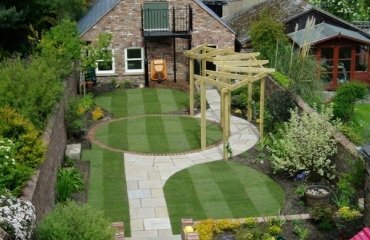 The wooden railings that have a wider surface can be used both as a low seating, as well as a boundary that defines the garden. 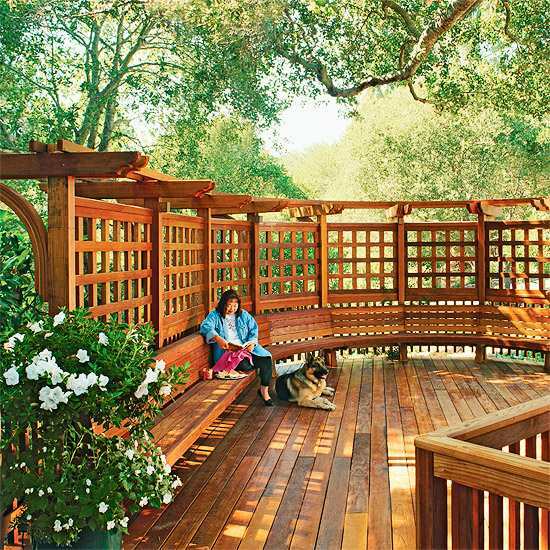 This built-in corner bench features a soft comfort, storage space and a view of the surrounding garden. A white wood lattice wall protects the privacy while still ensures an airy openness. 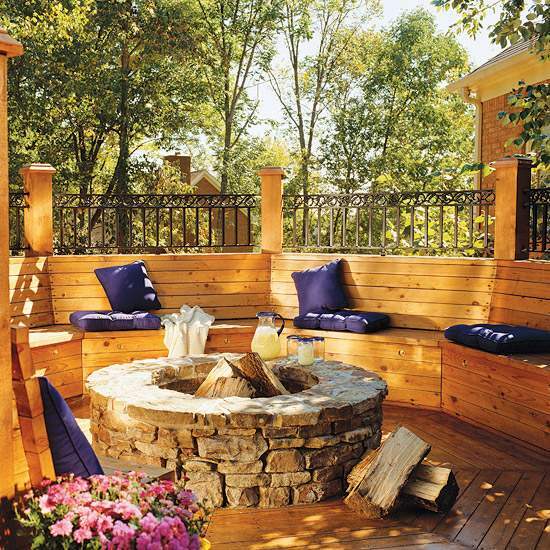 Integrated wooden benches on the fence around a fire pit offer the perfect place to relax day or night. 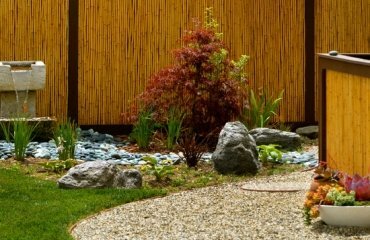 This low stone wall provides extra seating and decorative spiral for a small pond. 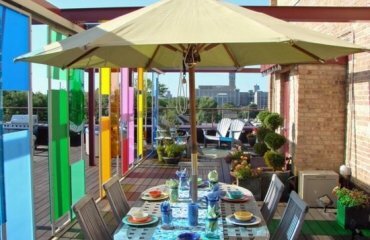 The built-in wooden benches can be built as a fence and define the scope of the terrace surface. The wooden benches provide a comfortable seating area on the terrace. The coffee table is made of the same wood to complement the design. The concrete and bricks used here to make this beautiful seating area are low-maintenance materials that withstand the effects of wind, water and temperature fluctuations. 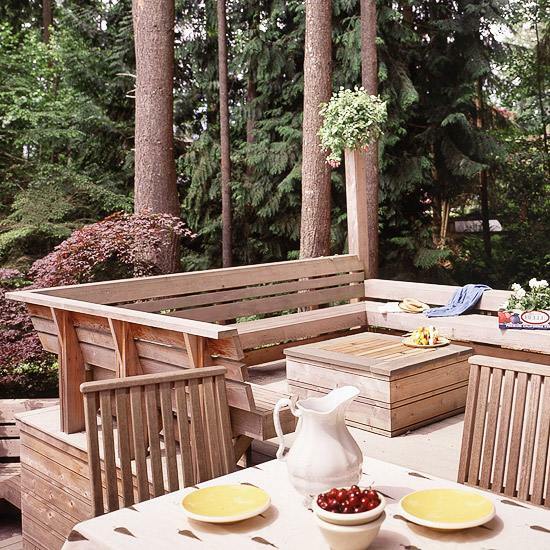 The built-in benches provide additional seating and waterproof storage space to this outdoor dining area. 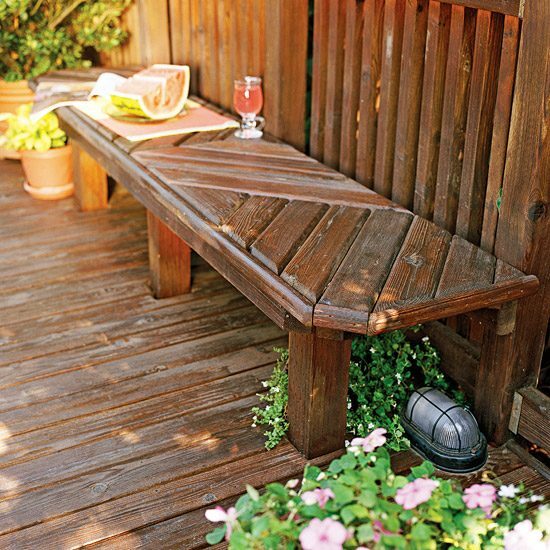 Embedded plant container and side tables are the main features of this round wooden bench. 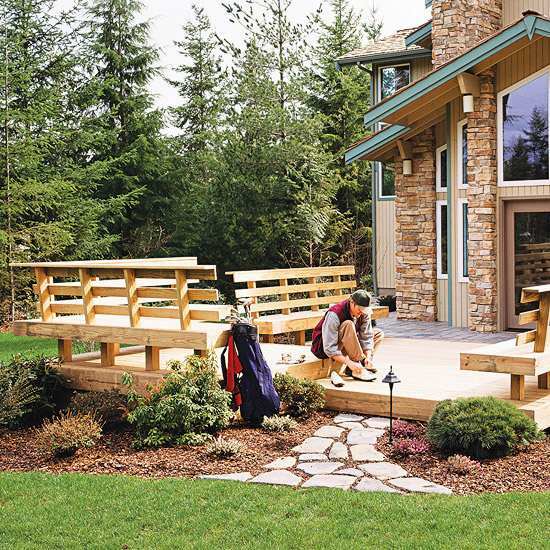 The bench is built of cedar planks and splits the terrace in two levels. 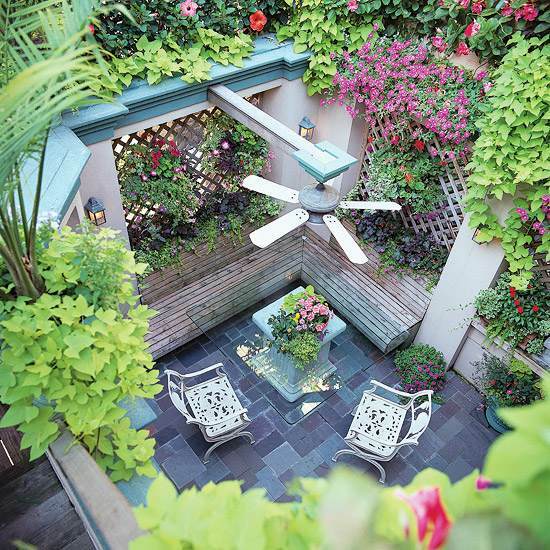 Plantings at the edges of the patio seating area make this a popular outdoor meeting place. 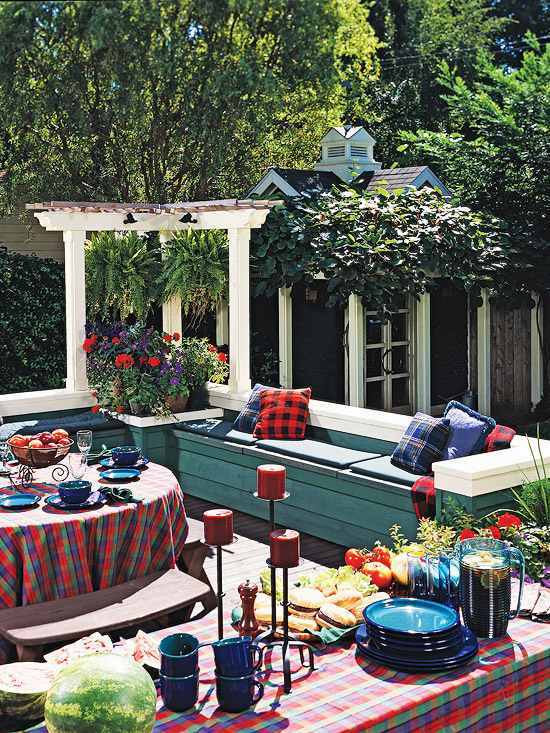 Carefully selected wood planters add structure and dynamics on the terrace, as they beautify the wooden benches.